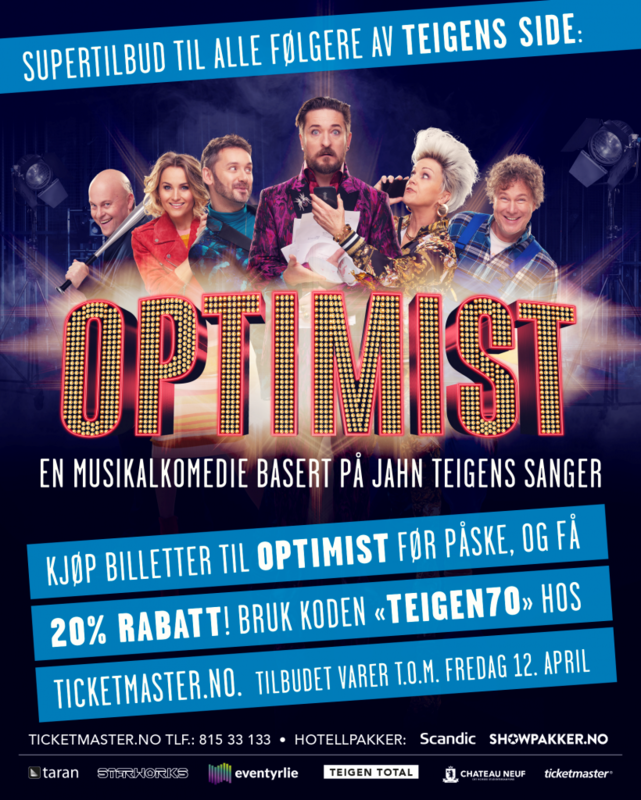 Welcome to Norway’s first ever official website for Jahn Teigen. The idea for this “Musical History from 1964” was for many years on my “To Do” list, but the first lines were written down on 01.02.1998 and was online about 6 months later. These pages contain material about the time Jahn Teigen played in bands such as: The Little Stones, Enemies, Road, Red Square, Lions of Judah, Arman Sumpe d.e, Popol Vuh, Nisser og Dverger, Popol Ace, Prima vera, etc. Jahn Teigen needs no introduction. We all know him as a pop singer, actor, juggler, and fun man – and many times have we laughed at his lines and various pranks. Behind the pop singer and fun man hides, however, an artist with a deep respect for the genuine, warm and close. Jahn Teigen is in fact a human spirit that can be influenced by their surroundings, and that often helps to put the other in the mood. The best of luck on Your journey! New additions to the Discography pages. From this day forward there will be a lot of new additions on the Discography pages that have never been there before. Posted in News	| Comments Off on New additions to the Discography pages. Due to the fact that many people register only to try to hack the site, or try to comment on things with spam, and such, we feel that it`s necessary to close registrations. 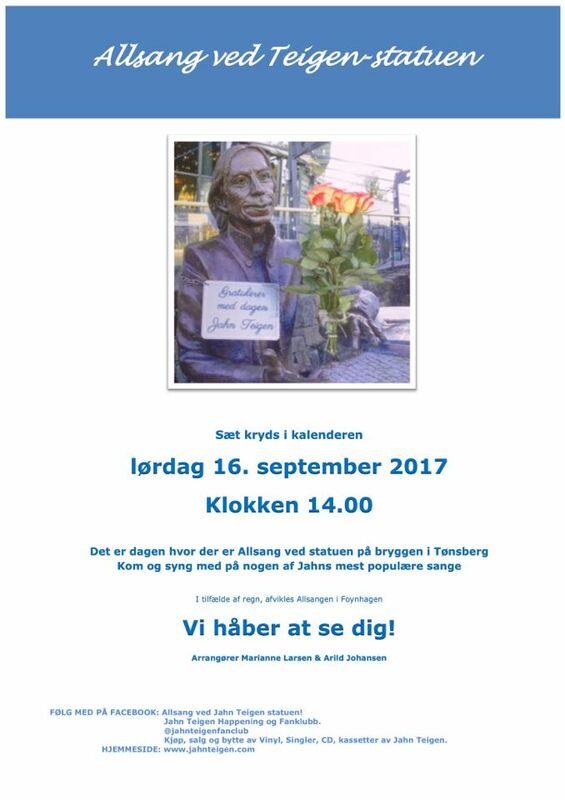 The 16th of September this year at 14:00, on the docks of Tønsberg, it is once again time for a new sing-along show with songs by Jahn Teigen, by several artist. Feel free to join the show, it’s completely free. We would like to inform you that the site is now operated by both Øistein Wickle and myself, Eric Dahl. I am here to ensure that the layout, and the user experience is taken care of on this site. We trust that you will enjoy this encyclopedia about Jahn Teigen. On the right, You`ll find the contact info for Jahn`s management, Trond Lie, and also my personal mail adress. Jahn Teigen painted on the wall. Posted in News	| Comments Off on Jahn Teigen painted on the wall. EP and Til Kongen – Jahn’s new song is now out on iTunes. Posted in News	| Comments Off on Til Kongen. Posted in News	| Comments Off on New song with Jahn Teigen.